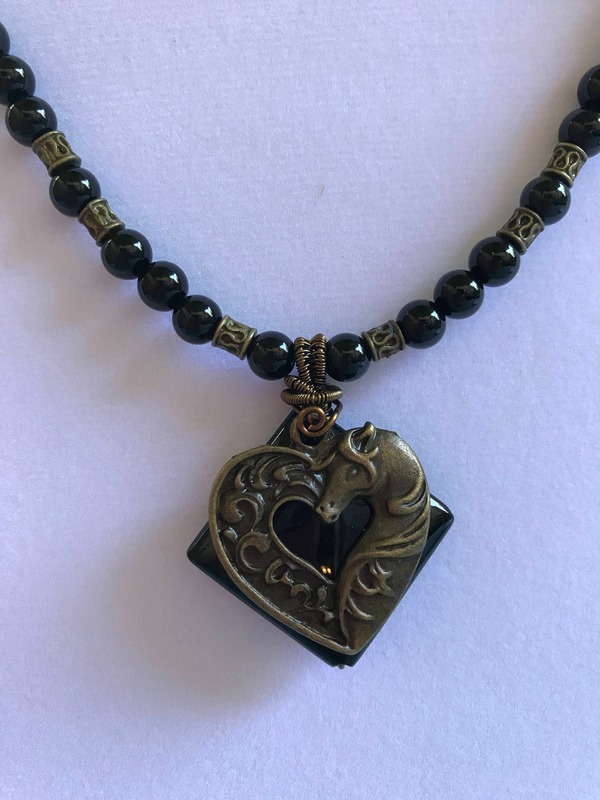 This necklace was made by me for the Visiting Artist Show at Santa Anita Race Track in October 2017. 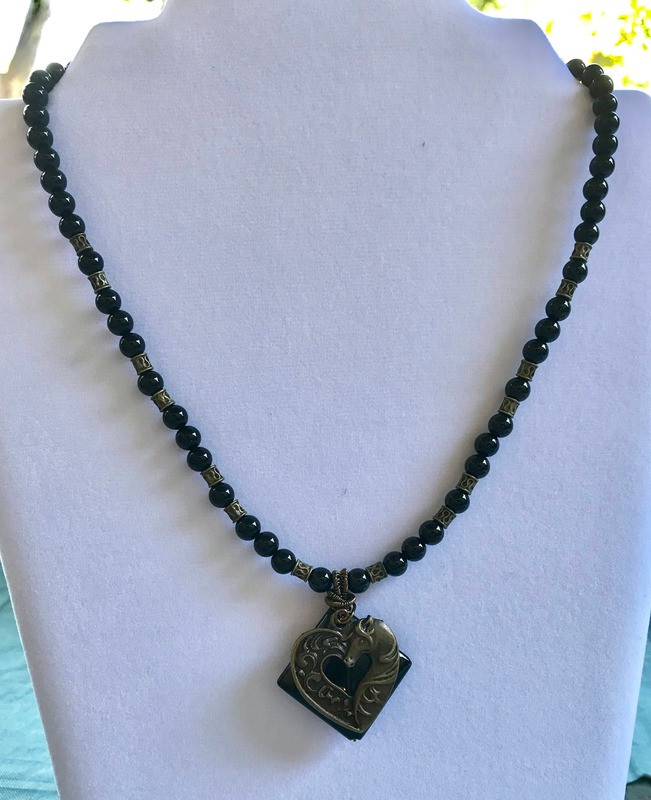 I named this necklace, "Loving Inner Strength." 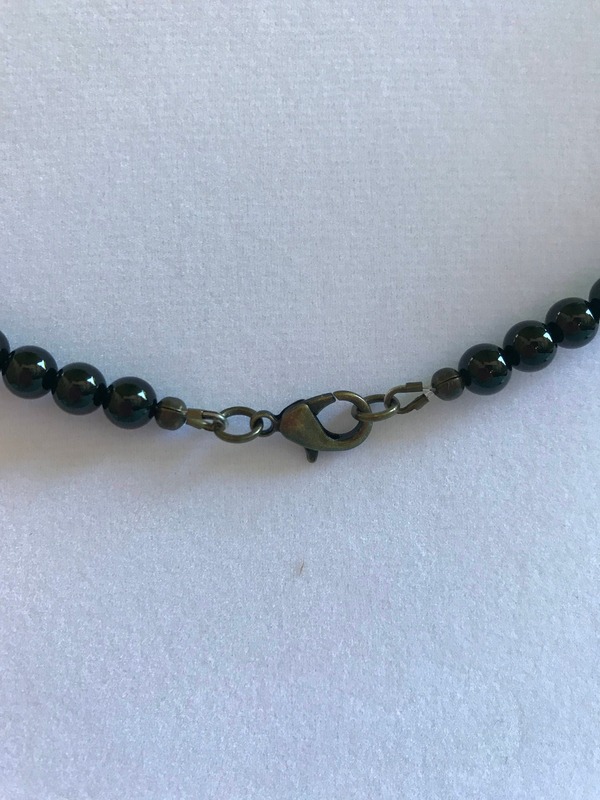 This necklace is made of Onyx, and the finding metals are brass. The stone energy keywords for this piece are; strength, focused attention, willpower, discipline, and reason. 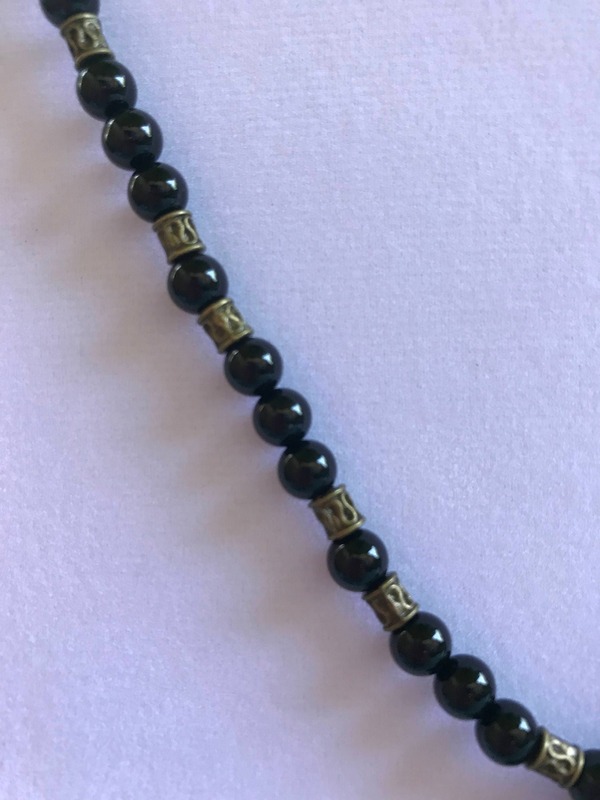 This is a very grounding piece for the wearer. The keywords for the horse symbol is wisdom, power, and balance.